Get the perfect pout this Valentines Day with the Forest Essentials Cane sugar lip scrub. This product from the luxury Ayurvedic brand is used to gently exfoliate dead or flaky skin on lips to prepare them for a balm, gloss or lipstick. 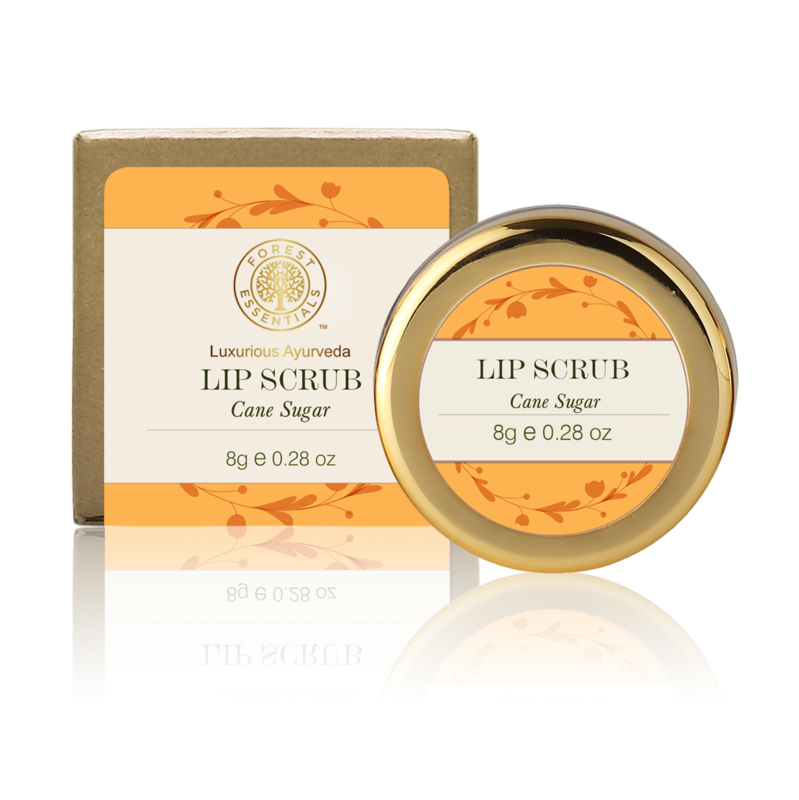 Enriched with a combination of soothing and nourishing ingredients including Virgin vegetable oils, Kokum butter, Organic Beeswax, fine Cane Sugar crystals and fresh fruit and flower juices, the Lip Scrub leaves lips buffed and smooth. Include this product in your beauty care regime at least twice a week to see the difference and feel perfectly scrubbed lips. Use this product specially before apply a matte red lipstick this Valentines day. Directions for use: Spread and gently rub a small amount over lips to exfoliate. Rinse, or gently wipe off excess with damp tissue. Follow with a lip balm, gloss or lipstick as desired. Making of the product: Fine crystals of Cane sugar are hand mixed with Jojoba, Sunflower and Olive oils along with Shea butter, Organic Beeswax and fruit juices. The Lip Scrub will be available across all stores of Forest Essentials and through the E-store on www.forestessentialsindia.com from February 2014.